Learning about trauma and its effects on a child’s mental and physical health opens up your eyes. It is a step in the direction in understanding the adverse experiences that children and adults carry. Consequently, these experiences shape their lives for better or for worse. Furthermore, it helps you understand why a child may not be able to focus or sit still, why she may lash out or misbehave. Often these behaviors are expressions of need because something has been lost. What does trauma take away? It takes away a child’s sense of safety, self/body-image, and trust. It also disrupts developing healthy attachments and relationships. Being trauma-informed changes the question from “what is wrong with you?” to “what happened to you?” More importantly, it teaches you to respond to the need, not the behavior, of a child. The groundbreaking work of CDC-Kaiser Permanente resulted in The Adverse Childhood Experiences Study (ACEs). 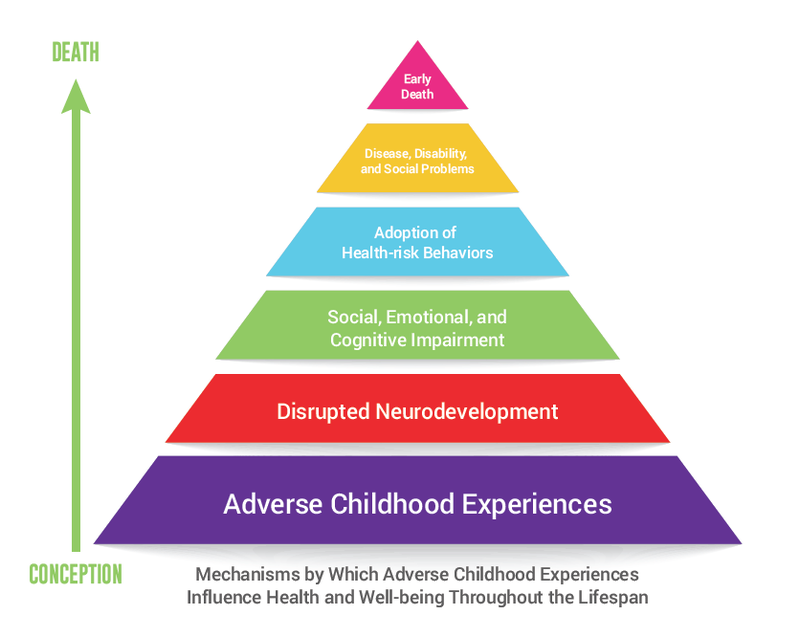 One of the largest investigations into childhood abuse and neglect, ACEs uncovered the long-term adult physical and mental health effects of adversity. Conducted from 1995 to 1997, ACEs involved over 17,000 participants. These participants received physical exams and completed confidential surveys regarding their childhood, current health, and behaviors. What was discovered was staggering. The study revealed that because of adversities experienced in childhood, children’s developing brains were so profoundly harmed that the effects could be seen many years later. Consequently, adults who experienced adversities, including physical, sexual and verbal abuse, or physical and emotional neglect, are far more likely to experience chronic disease and mental illness. Additionally, a child could experience ACEs through a family member who is depressed or diagnosed with other mental illness. Children could also experience it because an adult in their household was addicted to alcohol or another substance, or in prison. Other adversities include witnessing domestic violence and losing a parent to separation, divorce or other reason. Bullying is also considered an ACE factor. Today, ACEs are measured based on a simple set of questions regarding childhood experiences. You can learn more about the ACEs study here in your journey to becoming trauma-informed. Click through the links below to learn more. Voices In the Family: Behavioral health reporter Maiken Scott and psychologist Dan Gottlieb discuss what helps people after a trauma.